It would be awesome to meet you at the event. If you are going, message me and let me know! I am currently in the process of writing an article for a special edition of AUGI World that will be distributed at AU. I can’t share everything from the article, but there are a few things that I feel are important for those attending AU for your first time. What does that mean? Well – do your homework! Not sure? Check out these posts on surviving and thriving at the annual AU event by some experienced AU veterans below. This is a list of bloggers that have written AU specific posts as well as links to their sites. When you get to each site, for additional AU topic posts, just search on the key word “university”. If you are going and have not done so yet, get the App. The links above will give you a good intro to what the event is and provide some actionable tips on how to get prepared. If you have questions, I would be glad to help if I can. You can email me at: walt@functionsense.com or tweet me at @functionsense. In corresponding this weekend with a AU first timer, I thought it might be a good idea to share some additional information for other first timers. When you register at AU you will get a bag (at least that has been the case in the past) which may include a pen and some sponsors literature, but that’s about it. You will also get your badge that will allow you to move around the event and get in to classes. The badge may also come with some ribbons – like the AUGI ribbon for AUGI members. Speaking of registering, it is best to do it as soon as possible – Monday, if you can. By registering early you can hit the ground running on Tuesday. There will be 9000+ plus people roaming the halls and you want any registration formalities out of the way as quickly as possible so you can get to your classes and any events without delay. I would definitely bring something to take notes with – electronic or paper. If you have a tablet (like an iPad) or a laptop, that would be best. Before you leave, go to the AU site and download all your class materials. There will be wireless at the event, but it can get pretty overloaded. If you are not bringing an electronic device and are going the paper route print your material out so you can follow along. Bring something to write with (and a backup) as well as a notepad and some highlighters as well to emphasize important items to you. If you have smart phone, there is an AU app that you can install that will have information on the daily events and maps, etc… Search for it on Google Play Store (for Android) or the Apple App Store – it will be called “AU 2015. Note that if you are traveling from overseas, you may want to investigate a mobile data and minutes package through your carrier. There is wireless at the event that should handle your data needs, but roaming can get pretty pricey for texting and calling home. Make sure your luggage is big enough to bring back all the literature and any souvenirs you will get – like the annual AUGI beer glass that you will get a ticket for at AUGI’s Annual General Meeting. The weather this week in Vegas is forecast to be between 34 and 62 degrees Fahrenheit, so bring some warm clothes if you plan on going out on the strip and do some site seeing. If you have additional questions, you may want to check out this link for AU FAQS. 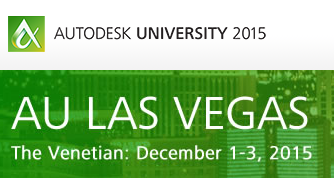 The exhibit hall opens Tuesday at 6:00pm, and you will want to come by the AUGI booth. We are booth #1369 – you can locate us on the AU Exhibit Hall map. When you come by, ask for me. I’ll follow up with some news after the event, until then – Safe Travels. Are you new to AutoCAD? Have you been using AutoCAD for years but only use the blocks, styles, layers and tools that others have created? Do you want to learn more or step up your game on features you’re not very strong in and pick up some practical examples of best practices? If so, this series is for you. Over the course of 12 months and maybe more I will cover the basics of a lot of AutoCAD tools and features that many may want or need to learn more about. This is the 14th article in my AutoCAD 101 series – to read about the origination for this series, see the first post here: <Intro>The last post in this series was a wrap-up of all the Block Posts. <link>. So now we move on to another tool – “External References”. If you are not using External References (XREFS), which has been around for a long time, you are really missing out on a powerful tool. If you are a current user keep reading, maybe you will find some new things covered here that you may have been a bit curious about. Throughout the XREFs posts I will refer to the process of attaching external reference files as “XREF/XREFING”, to the attached files as “XREFS”, and to the drawing that you attach XREFs to as the working drawing. What are External Reference files (XREFS)? External references are much like the concept of blocks which was the old school way of handling many of the functions now provided by external references. Rather than being embedded (inserted) in the file they are externally ‘attached’ or ‘referenced’. Items that can be attached include; DWGs, PDFs, DGNs, DWFs, and IMAGES (BMP, JPG, TIFF, PNG). Different commands can be used to attach the various external files, and these commands start with the file type and the word “ATTACH”; PDFATTACH, DGNATTACH, IMAGEATTACH, DWFATTACH. Or, you can just use the XREF command which will allow you to attach any type from one dialogue. The individual commands are great for use in automation efforts (Macros, Scripts and Lisp), but will not likely be your first go to option. Because it is the right thing to do of course! If you are new to AutoCAD and XREFs and wonder what all the fuss is about, XREFs provide a lot of pretty cool features. As stated above in what are External References, you see a lot of file types that can be attached to your working drawings. Typical items you that would attach include floor plans, title blocks, logos, standard details, survey pictures, and product literature. 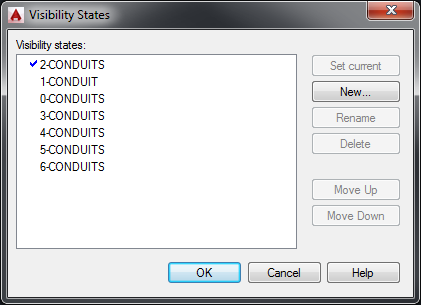 But, if you have any of the file types above that you commonly share in projects the options are unlimited. 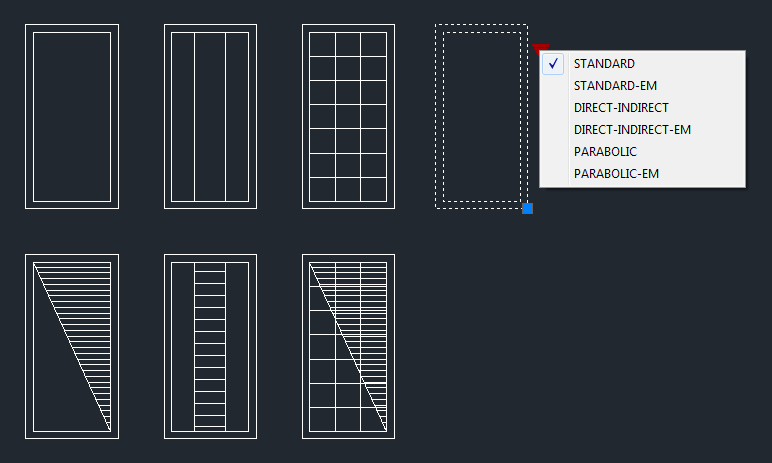 See ‘Figure A’ for the various file types that can be attached in AutoCAD 2015.By choosing the drop down menu in the upper left, next to the DWG with the paperclip, you will see the variety of file types that can be attached to your working drawing. 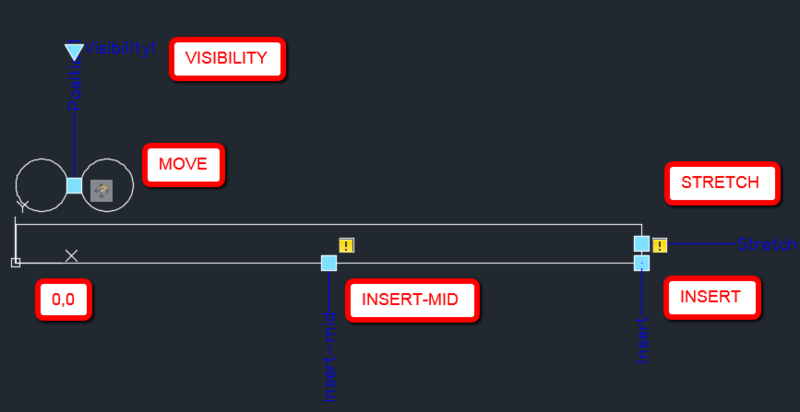 Because AutoCAD now has so many external attachment options, the “XREF” OR EXTERNALREFERENCES” dialogue gives you a full picture of all your attachments. Why Block Insert when you can XREF? The big difference between working on a background that is a block verses a background that is an XREF is that the external XREF can be worked on by someone else and be shared real time with multiple users or files. External references keep your drawing files small and allow you to share the background with multiple drawings. The following are examples of how XREFs can be used to increase your productivity. The one big advantage that every one of these examples is that when you update the XREF every file that references it is updated. This is probably one of the top two uses of external references. In a typical project the one item that is common among all drawings is the title block. By XREFing the title block drawing you can make changes to the address, issue date, customer info, and logo in one place and have all of your working drawings updated automatically. Note that the logo in the title block is another common XREF (IMAGEATTACH). You can also enter all your revision info for the entire job in this drawing as individual layers. I. E. REV-1, REV-2, etc… freeze them in the title block and thaw as necessary in the working drawings. Probably the top use of XREFs. Through a combination of external references, clipping, and paper space, you can attach multiple plans and plot at different scales all on one sheet. XREF’s can be renamed when attached, and by doing this you can attach the same file multiple times and control the visual aspects of each as if it were a separate file. This is referred to as logical name versus the actual name. An example would be attaching a floor plan (FP-1) that has demo and new work layers all in one drawing. By attaching FP-1 and then renaming it in the XREF dialogue to FP-Demo you can freeze and thaw layers as required to show the demo portion of the plan. You then attach (not copy) the FP-1 plan again and freeze and thaw layers as required to show new work. Since each logical XREF has its own layer structure showing up in your layer dialog you can also change colors and line types. 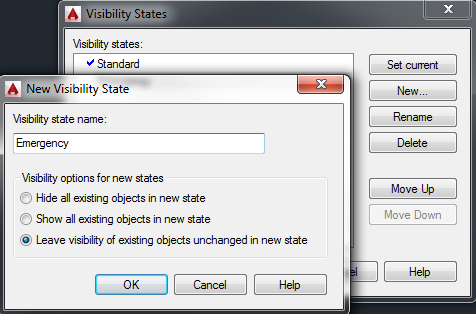 Note that this feature relies on your VISRETAIN SETVAR being set to “1 “. In some jurisdictions it is required manufacturers data, safety information, or product performance, is shown on the drawings. Instead of retyping all this data or redrawing it (or creating sticky backs for you old-timers) just XREF the PDF or image files into your working drawings. Nearly every set of drawings utilizes some form of standard details. You could have a standard detail sheet with the details XREFed so that the sheet is always up-to-date. If you need to revise a standard detail to be job specific or freeze the details specifics from changing during the course of the job, you can bind those details into your working drawing and edit as required with in the current job. When doing renovation projects, a necessary task is to provide enough information on the existing conditions to allow contractors to be able to see what they face so they can give an accurate bid. Although requiring a field visit is always a good idea that is not always practical for some projects. A great way to enhance your drawings is to IMAGEATTACH field photos in your drawings and add notes detailing the specifics. When working on large building projects or campus wide projects, you can attach aerial views or screenshots from your favorite mapping program to visually show your site or campus. For the large building projects you can attach a drawing at a reduced scale of the overall building with hatched areas or layers frozen or thawed to represent specific areas of work. Any plan changes will automatically update your key plan as the project progresses. These are just some of the uses for external references. Your imagination can open up many more. In the upcoming posts I will cover commands and settings that are important and useful for utilizing XREFs efficiently. The last post in this series was about “Dynamic Blocks” on the ‘Flip’ Parameter and Action. <link>. I wanted to Wrap up with the ‘Linear’ parameter and action, but I just ran short on time with all things going on. If you are interested in the Linear Parameter and Actions, email me and I’ll get something posted for you. At this point I want to get moving ahead on other topics. This post is a recap of what has been posted so far to date. The next 101 post will switch gears in to external reference files (XREFs). 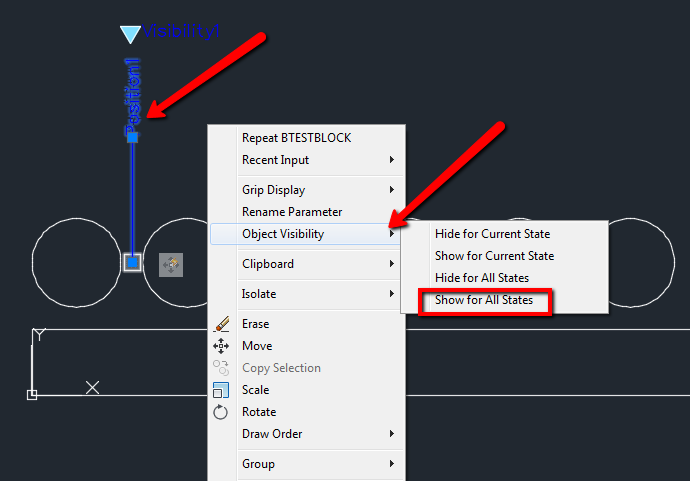 So far I have created 10 posts that covered the basics of everyday ‘What, Why and How’ of AutoCAD blocks and how to supercharge them by adding ‘Dynamic’ properties. Below is a summary of ‘Block’ specific posts to date. In the next post, I will dive in to external reference files, which is another basic tool that many still struggle with. I will discuss types of XREFs, ‘Attachments’ vs ‘Overlays’ and practical tips and uses of external reference files. If you run into a snag with any of this or you have any comments, email me at walt@functionsense.com.